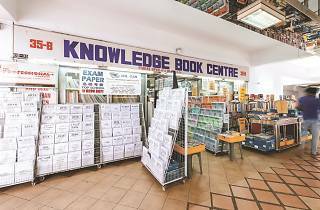 You’ll spot its storefront as you’re taking the escalator up to the third floor of Bras Basah Complex, where rows of Ten Year Series papers packed in plastic line the shelves. 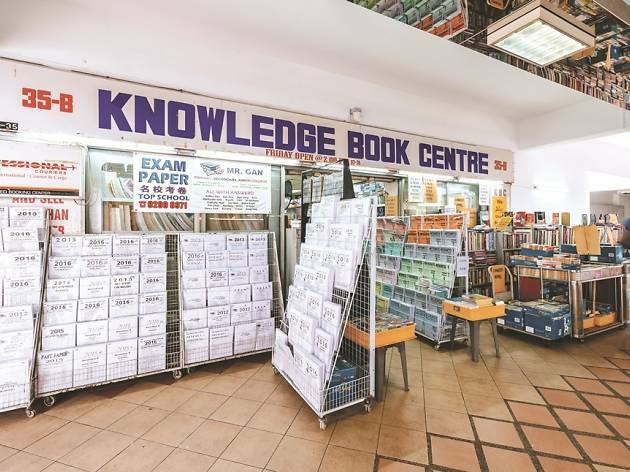 Knowledge Book Centre has been around since 1975, and stocks mainly educational material at roughly a third cheaper than anywhere else. Which is why it’s a draw for primary to university students: textbooks on offer cover statistics, auditing, literature, law and mathematics, and yet more niche topics like electricals. Meanwhile, its fiction selection runs thin, and most books aren’t marked with prices – so check with part-owner Mohamed Ismail, who mans the store. He knows his stuff, and values books based on which shelf you’ve taken them from.